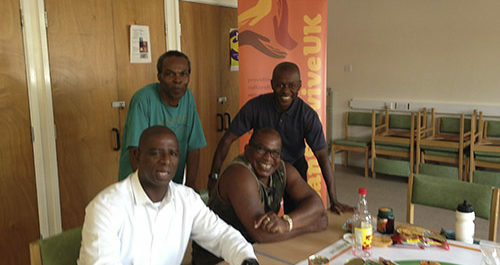 CanSurvive UK, based in Hulme, provide practical advice and culturally sensitive support primarily to Black Minority Ethnic populations living with, or affected by, cancer and other long-term health conditions. Activities include massage and relaxation, managing fatigue, anxiety and stress, yoga, Pilates, healthy cooking and eating, and beauty pamper sessions. CanSurvive engages with groups and individuals from organisations such as African Caribbean Care Group, The Sugar Group, Wai Yin, Europia, Indian Senior Citizen’s Group, Arise, Trafford African and Caribbean Over 50s Club, and BHA. CanSurvive has a great vision to have a ‘one stop’ service where community members can access advice, information and support around cancer and other health conditions. 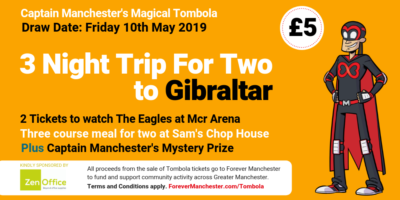 There have a schedule of daily activities and various support groups, as well as health and wellbeing training sessions, talks, organised day trips, fundraising initiatives, and more. The services that CanSurvive have now been able to deliver to the community of Hulme are invaluable to those suffering with cancer in the area. One attendee said: “In February 2014 I was diagnosed with breast cancer. I am 37. I am a black British woman and have a 14-year-old daughter. In my search to find support from and with people who I could relate to on a cultural basis, in May 2015 I was told about CanSurvive UK.